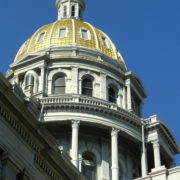 Many of us have heard about the big challenges climate change is bringing to Colorado. From forest fires to drought, and from extreme floods to abysmal snowpack, we’re beginning to see the fallout from climate change across the state. What we used to think of as tomorrow’s crisis is happening today. Underserved communities in our urban centers are being hit first and worst by the effects of climate change. The Climate Gap is the disproportionate and unequal impact the climate crisis has on people of color living in more polluted areas and the poor. In Colorado, many people have been struggling to manage the challenges of climate change for decades. For example, the climate gap means that communities of color living in inequitable conditions and the poor are suffering more during extreme heat waves. We are already experiencing intensified heat waves in our urban centers due to rising temperatures and the heat island effect. The western United States has seen a larger increase in average temperature in the past decade than any other part of the country. The heat island effect describes urban areas that experience much higher temperatures than neighboring rural areas. Without access to air conditioning or cars to escape the heat, families living below the poverty line are at a much higher risk for mortality than others. The climate gap also means that communities of color and the poor will breathe even dirtier air. Denver is notorious for our sub-par air quality, in fact we were just rated the 14th most polluted city in America for high ozone according to the American Lung Association. 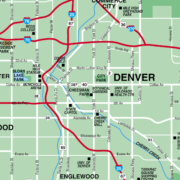 In fact, according to The Denver Business Journal the Denver zip code 80216 in north-east Denver is the most polluted zip code in the entire U.S. What does this mean for families living in Denver? The highest majorities of people of color and low-income residents are in some of the most polluted neighborhoods of Denver. These communities are projected to suffer from the largest increase in smog associated with climate change. More air pollution means more cases of asthma among children, more missed school days, more unpaid days for the caring parents, less income for families who already struggle to access reliable and affordable transportation, more missed hospital and health care appointments, and a host of other concerns that ripple outward as we link climate change to equity, diversity and inclusion. With Trump in the White House, America has pulled out of many of the national and international climate mitigation initiatives including the Paris Agreement. However, in the vacuum of federal leadership on climate, many local, state and regional governments have taken the lead on greenhouse gas reductions. Initiatives such as the U.S. Climate Alliance, America’s Pledge and We Are Still In represent non-national actors that are committing to reduce emissions to meet the Paris Agreement goal of keeping the increase in global average temperature to well below 2°C above pre-industrial levels; and to aim to limit the increase to 1.5°C. The organizations and individuals who have signed on to these initiatives represent $10.1 trillion in GDP from the United States alone. So, there is some good news. Through strategic collaboration, individuals and organizations across the country are advancing climate change action despite federal-level barriers. In Colorado, our climate policies and plans are integrating environmental justice into the equation for climate change solutions. But there is still a long way to go. Governor Hickenlooper and his senior staff will be visiting The Alliance Center on June 14 to discuss the updated Colorado Climate Plan and how we can meet Colorado’s state goal with actions at all levels – personal, community, and government. The event is sold out, but it will be live-streamed here. Here at The Alliance Center, we intentionally integrate equity into all aspects of our work. We believe that a climate change solution that is not founded on environmental justice is not a solution at all. Integrating equity into each aspect of our work takes dedication, clarity, and a lot of help. In 2018 we are creating new educational and collaborative initiatives that feature equity at their core. Our Climate + Series connects climate change to everyday issues that people can relate to such as health or housing and gives them tools to take action. At all of our Alliance Center-led events we are offering free translation services as well as limited transportation for members of underserved communities who want to participate in our events but would not be able to do so if transportation services were not provided. As we bring people together to create sustainable solutions, we are working to break down the barriers to participation for members of underserved communities. Climate change is affecting each of us, and no community should have to carry the burden of these challenges more than another. With your help, we can scale up our impact and create solutions that honor each other and the planet.